Activity Sheets & Pencils Set - Activity Packs, Children Activity Packs & Kids Colouring Packs - Packme Ltd. 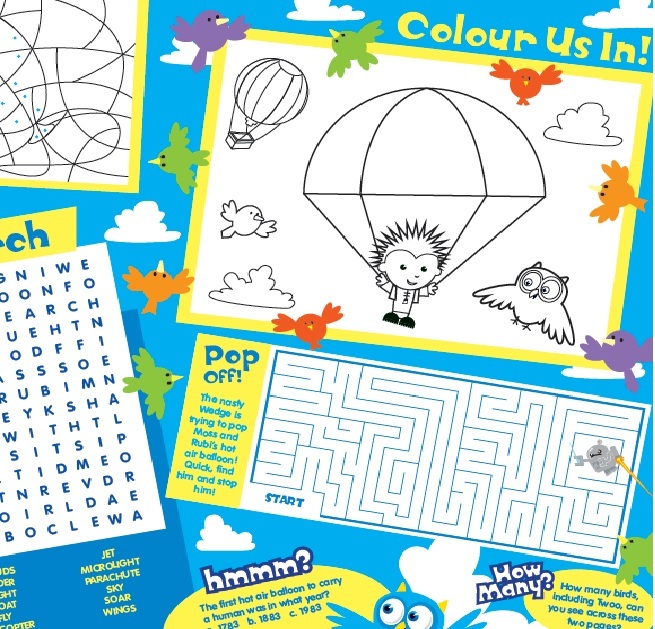 Box of 500 Activity Sheets and Colouring Pencils. 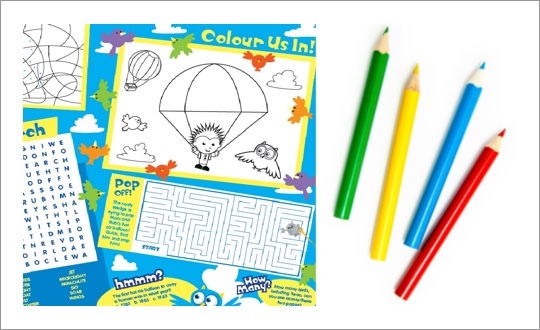 Sheets are A4 in size and have 4 sides of colouring and activities to complete, within the box there are 2 designs, Beneath the Waves and Up in the Air. 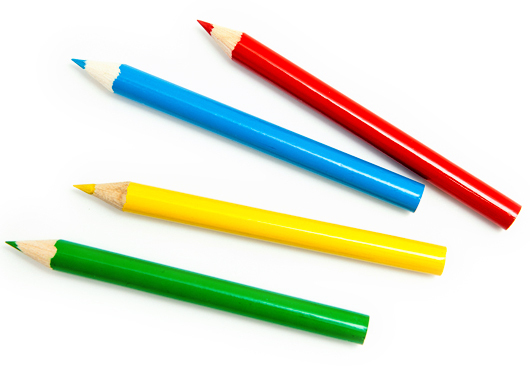 Colouring pencils are supplied 500 packs of 4, with mixed colours; Red, Green, Blue and Yellow.